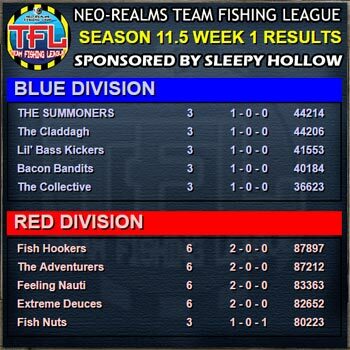 Season 11.5 Week 1 Results! Today is the last day to register for TFL, so be sure to grab a partner and head down to Alston and sign up! Registration will close at midnight and the first match will be ready to play on Monday. If you have any questions please contact Sweegy Manilow. 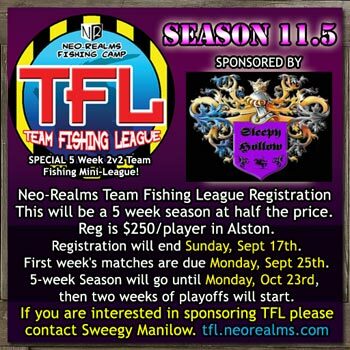 TFL Mini-League Season 11.5 Open for Registration! Our first ever TFL mini-league is open for registration! Registration is open until Sunday, Sept 17th. Instead of a normal season we will be playing matches over a 5 week period, with half the registration fee and prizes. Season 11.5 is sponsored by Sleepy Hollow! If you have any questions, please contact Sweegy Manilow. Season 11 Complete! 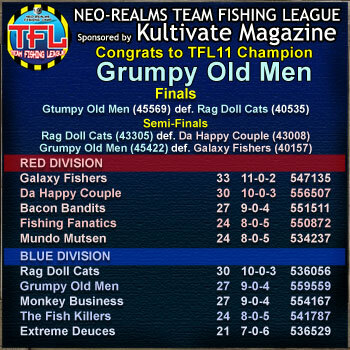 Congrats to Grumpy Old Men! Season 11 is in the books and congratulations to the champions, Grumpy Old Men! The Winner of the participation drawing for this season is Bass Babes! Thanks to all who took part in TFL 11 this season, and thanks to league sponsor Kultivate Magazine and our platinum sponsors for this year!